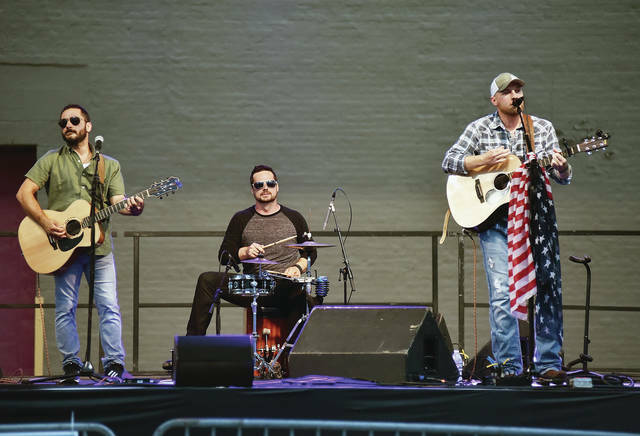 Eric Sowers Band performs behind the Historic Sidney Theatre Saturday, Aug. 25. The headliner, Commander Cody, cancelled due to sudden health reasons. The performance was the last of the Backstage Block Party events this year.